Channel 4 is in advanced negotiations with developer Cubex to locate its new Creative Hub at Finzels Reach, Bristol’s new waterfront quarter. Channel 4 will lease 3,200 sq ft of space on the second floor of the Fermentation Buildings at Finzels Reach. The new Creative Hub in Bristol will be a base for key creative decision makers supporting Channel 4’s relationship with the production sector – with a particular focus on supporting genres strongly represented in the South West, Wales and Midlands. Commissioning departments represented in the new Creative Hub in Bristol will include: Drama, Factual, Popular Factual – as well as Creative Diversity, supporting on and off-screen diversity. It will also have additional supporting operational roles. 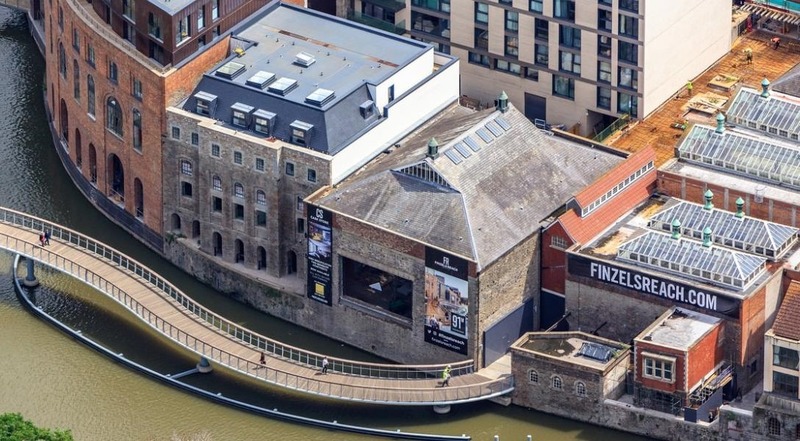 Overlooking Bristol’s Floating Harbour, the Fermentation Buildings are part of the rich brewing history at Finzels Reach, which has been home to several famous breweries over the years, most recently Courage Brewery before it closed in the 1990s. Finzels Reach is a new community being created in the heart of the city by developer Cubex with funding from Palmer Capital. It features high quality new homes, unique workspace, a hotel and leisure space, transforming an area that had been previously closed off to the public for over 200 years. Around 2,500 people will be living and working at Finzels Reach by the end of the year. The negotiations were led by CBRE on behalf of Channel 4, with Knight Frank and Savills acting on behalf of Cubex.